To understand how to use hashtags, one does well to dig into a little history of the now famous ‘#’. The ‘hash’ symbol was often used in information technology to denote a special meaning. The first use of it which resembles the meaning it has acquired today is when hashtags were used in the Internet Relay Chat (IRC) networks that were famously used for group communication. The first person to be credited with conceiving the idea of using hashtags to categorize tweets on the web came from Chris Messina, an ex-Googler. Not surprisingly, he tweeted this idea out for everyone to see. From this tweet back in 2007 to the #oscarselfie craze of 2014, the hashtag has come a long long way. However, the difference is in the scale of usage, and maybe not as much in function. 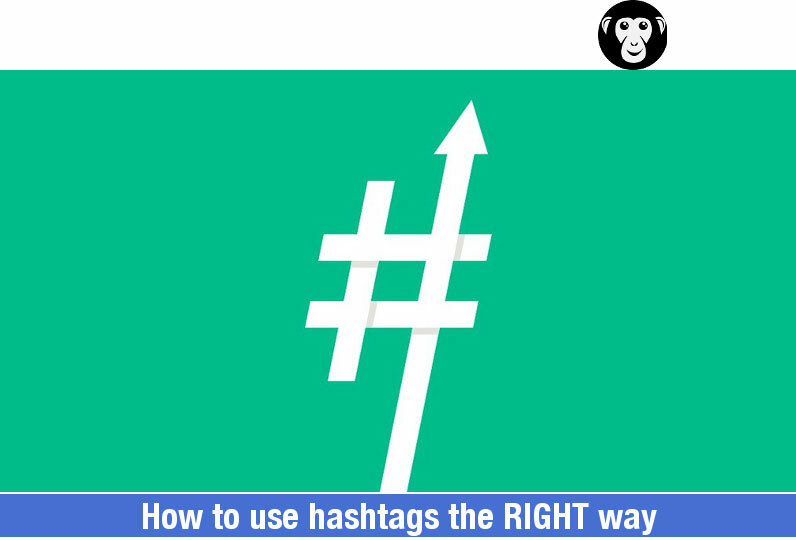 Hashtags make sense primarily for categorization of generic terms, emotions, brands, events and so on. In other words, a hashtag really adds value when they are created keeping in mind the searchable, generic nature of the event/thing the hashtag represents. This helps your opinion/content become much easier to find for the people that are looking to join the conversation about that particular event, topic, emotion etc. 1. Hashtag generic words/events/emotions. Always ask yourself this question before adding a hashtag to a word: if people search the hashtagged word, will your content be relevant to them? If the answer to this question is yes, then go right ahead and hashtag it! 3. Don’t include 15 hashtags. You really want to stick to only 3-4 at most, so that the focus remains on the content in the tweet or post rather than the hashtags themselves. Before I end, I must qualify that these are merely guidelines, and there may be rare cases in which an unusual style of using hashtags actually helps make content be more effective. However, these will be the exception and not the norm. More often than not, I will always err on the side of doing radical, new things and experiment with this medium. One of the amazing things about the internet is that there are no rules. But sometimes it helps to use guidelines to bring you back to what’s most important: communication and content. And hashtags are mostly just for its effective distribution. Agree or disagree, I’d love to hear from your take on this!